This site, all its contents including code, design and the Jalokim Graphics logo are copyright. No distribution or modification is allowed. Icons from affiliate links are all copyright to their respectful owners. Images displayed on this site are all checked for Creative Commons validility. Not all content is copyright. Free files, images and code are all properly marked as distributeable. Failing to comply with the international copyright law will lead to sanctions. A special thanks to a load of people. Tilum , thanks for getting that old test forum to what its today. Jason, you are one of the best people I've had the privelage to meet. Your methods are revolutionary and you see the light in the darkest of tunnels. Craig, my best bud, coder, design and a long list of other traits. Social media icons are made possible by Komodomedia. Header art was aided by tutorials from psd.tutsplus.com. Basic icon set thanks to prokofushia. Smileys thanks to Jason, created by Job Sonoentag. This page is 100% recycleable and biodegradeable. 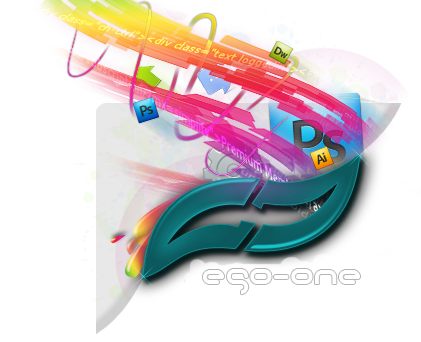 Ego-one and Jalokim Graphics are enviromentally aware and active. We do our bid to save our world from destruction. If you support this site, please help in saving the planet. Save water, electricity and recycle your trash. We look for alternatives in web design, but we also look for alternatives to keep this planet green. Microsoft Windows 7 Proffesional was used to run Adobe Photoshop and Dreamweaver, that created this site. With support from Notepad and the default template editor in forumotion's administration panel, the design was possible. Site coded via Google Chrome web browser, later tested on Mozilla's Firefox, Opera and Safari. Microsoft's Internet Explorer was not involved in the design process, this site is not optimized for a outdated browser such as Internet Explorer. Its recommended to change your browser. Nullsoft's Winamp played music in the background while coding, 70% audio was derived from Winamp's shoutcast radio, tuned to .977 alternative radio.